A few weeks ago, we did a review of the HeadBlade S4 Shark, HeadBlade’s top-of-the-line razor that takes the hassle out of shaving your head. 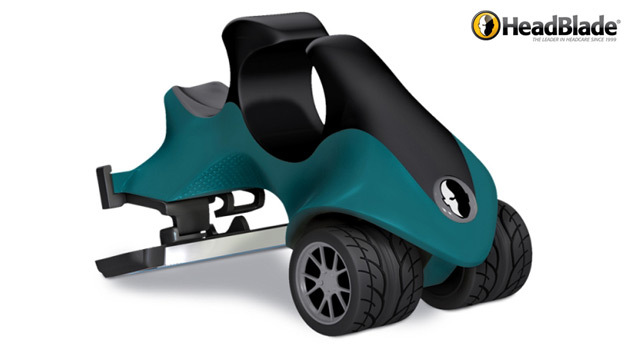 It’s an amazing razor, and I absolutely love it! The guys at HeadBlade also sent us a limited edition HeadBlade ATX Gervase Signature Series razor to give away to one lucky reader, and that’s exactly what we’re doing. 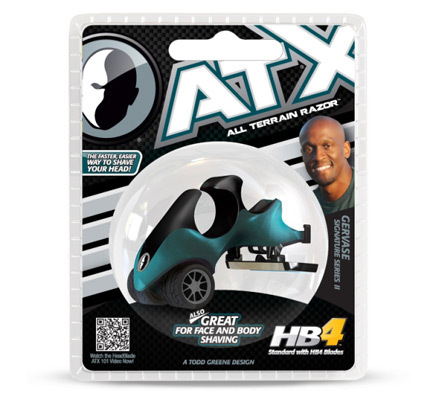 This limited edition HeadBlade ATX is named after Survivor contestant Gervase Peterson, and the Eagles color scheme is fitting, as Gervase loves his home city of Philadelphia, PA. It’s very similar to the S4 Shark, it’s just weighs a little less since it’s made of plastic instead of stainless steel. It looks pretty sweet, right? If you want a shot at the HeadBlade ATX, simply e-mail us and tell us who your favorite bald actor is. We’ll pick a winner at random on January 24th. Upon notification of winning, the winner will have five days to reply with the name and address of where their prize should be sent. Contest open to US residents only. Good luck!